Guess I’m in the romantic mood, I’ve been downloading and sneaking a lot of mass market romances out of work. They are a guilty pleasure, but more than that, these romances are more than just stereotypes. The more I read them the more I understand why it’s the best-selling genre it is. And with the recent Pocket Books/RWA controversy, here are some romances that should be on your radar (and one YA because I really want to read it). Forbidden by Beverly Jenkins – My first Beverly Jenkins book! I am currently reading it and it’s superb. 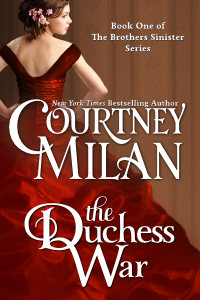 The Duchess War by Courtney Milan – Downloaded this book for free last week. I have been following the author on Twitter and this seemed like a good place to start in her list. 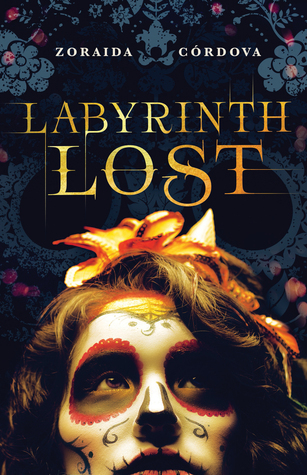 Labyrinth Lost by Zoraida Córdova – This book doesn’t publish until September (sad face) but sounds really amazing and I can’t wait to get my hands on it. Already requested it on NetGalley! Also currently reading Last Song Before Night by Ilana C. Myer–lovely writing so far!